WASHINGTON : According to a research study, the US natural polymer demand is expected to grow at a compound annual growth rate of 6.2% to touch $7.12 billion in the next five years. 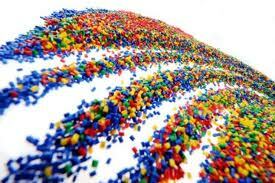 The natural polymer demand in 2012 was worth $4.95 billion. Medical applications dominated the natural polymers market accounting for 25.6% of the total revenue generated in 2012. The natural polymer with largest demand in the US during 2012 was Cellulose ether which accounted for almost 36.5% of the total natural polymer consumption. As per the research, the consumption of Cellulose ether is expected to remain robust with increased applications projected in medical applications, oilfields, food and beverage. The key Cellulose ethers in demand include Methyl Cellulose (MC), Hydroxyethyl Cellulose (HEC), Carboxymethyl Cellulose (CMC), and Microcrystalline Cellulose (MCC). The demand for starch and fermentation products may also see increased demand from pharmaceutical applications. The demand for starch and fermentation products is expected to reach 479.3 kilotons in 2018, growing at a CAGR of 12% from 2012 to 2018. Packaging is another major application segment that makes use of natural polymers. Various natural polymers such as starch-blend and PLA (poly lactic acid) are used to form film, loose-fill, thermoform and other packaging products. Cosmetics and toiletries are other application markets that may contribute to the significant CAGR growth in the next five years time frame.